If you glance around the site here for any length of time, it becomes pretty obvious that we’ve had good experiences with our Kindle Fire testing. Different people will probably assess the quality in different ways, though, especially given the variety of uses that it tries to make available. As such, let’s take a look at what people are saying over at Amazon.com in terms of the pros and cons when it comes to their new $200 media tablet. Many of the more helpful reviews are quite extensive, so feel free to click on the links for a more detailed view of what these reviewers had to say. I’ll be avoiding outright pre-launch reviews and complaints about spec comparisons to the iPad, of course. As far as video, I have always disliked Amazon’s Video services. The prices are very reasonable and they now have a huge selection, but obtaining the videos [was] a huge pain due to Amazon’s terrible Unbox player. That changes with the Fire, as everything is native and streams/downloads beautifully. The video app is real snappy and I had no issues streaming video at home over wifi. I can honestly say that the Amazon video app is as good as the Netflix app on the Ipad. The biggest “unfinished” feature of the Fire is the Cloud integration; the Cloud doesn’t work hand-in-glove with the Fire in the way you think it might. In order to access features like the video or the docs, you basically have to go through a browser the way you would from any other device. I initially bought an iPad with the idea of using it as an eReader but after 15-20 minutes the 1.5lb iPad feels like it’s ten pounds and simply becomes too uncomfortable to hold like a nice light paperback. The Fire is much more realistic an eReader. Speed of the apps as well as reading a book is VERY fast and responsive. I haven’t tried a a challenging spreadsheet or Word document with the Open Office app yet, but then again I can’t think of too many times where (based on my guesstimated usage) I will be doing those kind of tasks on my Fire: I like to keep my work separate from play. I put this at 5 stars because it MET MY EXPECTATIONS. I read all about this device before buying it, so I knew exactly what I was getting for $199 dollars. It has met all of my expectations of a small form factor tablet that is intuitive, media friendly, and has great processing capabilities. I did not expect an iPad, so there is no comparison in my mind. None of the so-called limitations of the Fire detract from my using it. Yes it has limited onboard storage but with the way the Cloud is integrated, I’ve not had any difficulty using that as a way of storing content. Plus, when Amazon stores it, they deal with the issue of backup. I also don’t miss the 3G connectivity. Sure, I’d love to be able to connect anywhere, but I will not pay the prices charged for data connectivity. Buying a Kindle in California might very well be costing slightly more than we’re used to, soon, despite the best efforts of Amazon.com. Lawmakers, frustrated by a combination of factors associated with sales tax collection, or lack thereof, have decided to mount a direct and possibly damaging attack on online businesses in order to increase revenue. The effect that this move has will take a while to become clear, but it might well end up being nothing but trouble for anybody, especially Californians. There’s some background to the story. Up until this point anybody buying something through Amazon, whether it was a Kindle, a cabinet, or something more extravagant, would be personally responsible for reporting and paying their own local sales taxes. Amazon, except in states where they have a physical presence, doesn’t have any obligation to collect it and has been given pretty much no incentive to try to tackle the logistical nightmare of keeping track of every tax variation in the country. The obvious problem is that most customers prefer to simply forget to report these out of state purchases when it comes time to pay their taxes. Naturally, the state and local governments find this inconvenient, but so far it has been hard to get around the legalities of it. Nobody wants to try to start auditing a significant portion of consumers simply for shopping online, so the easiest option is to make the online retailers responsible for it all. Efforts along these lines have had limited success overall so far. Affiliates don’t count, generally, and any state government that decided to revise their definitions to include affiliates has seen Amazon and many others pull their local ties rather than deal with the additional overhead. In the most recent news, California has not only made the affiliate connection just described, but has also attempted to make provisions in case Amazon pulled out. They are saying that Amazon will be legally required to begin collecting tax because their subsidiaries, A9.com and Lab 126, have offices in the state in spite of these companies being their own unique entities. Basically, unless Amazon decides to uproot the entire group that created the Kindle and is now rumored to be working on the Kindle tablet, they’re in trouble. Assuming that California can get away with it, of course. According to some analysts, they’re overreaching more than a bit. This is certain to be settled in court at some point, but either way it doesn’t seem like it will do California much good in the long run. If they lose, it means a bunch of wasted time and effort in court. If they win, it provides the right precedent to make putting money into Californian companies a bad idea for out of state investors. Even the slightest connection would trigger tax collection requirements. While it is certainly understandable in times of deficit to want this extra tax income, the overall effect on the state economy over the longer term could be quite negative. Californian Amazon Affiliates have already been let go, from what I’m told, and only time will tell how things will pan out with regard to the Amazon Kindle‘s Lab 126 and its ties to this scheme. While you can definitely grab whatever eBooks you might be interested in reading directly through your Kindle‘s connection to Amazon.com, there is no denying that you can get all the information you need about a potential buy more easily by pulling it up on your computer’s web browser. Part of that is the E Ink screen, with its associated monochrome display and slow refresh rate. Apparently this is a big problem across the board with mobile devices, however. Research has been done that indicates that the majority of shopping is done from desktop computers or laptops rather than more portable devices. Those tend to be a less successful avenue for sales efforts so far. This is part of why the Kindle Tablet seems to be such an integral part to the future of Amazon and other online retailers. While the trend is likely to take a long while, there are indications that we are moving into something of a post-PC marketplace. At least as far as daily home use is concerned. If you’re on a computer, you tend to be at the computer with a significant portion of your attention directed at it. With a tablet or a smartphone, you can simply be on the internet while doing something completely unrelated. Plenty of people already have trouble going anywhere without being connected. It is hard to pin down precisely why the online shopping experience hasn’t quite kept up for people, but Jeff Bezos had some comments on the subject a short time ago. He said, among other things, that at present browsing on a smartphone tends to be “a marginal experience in many cases”. This is a temporary thing, of course. As smartphones and tablets advance, they get more powerful, more versatile, and generally more enjoyable in every way. At the same time, web developers are learning more ways to accommodate these browsers and the many non-PC features that they bring to the browsing experience. 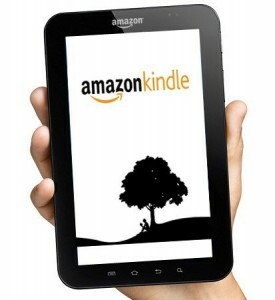 The acknowledgement of the situation is important in understanding the potential for the Kindle Tablet. 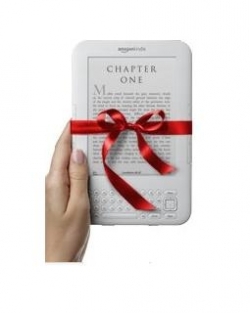 Yes, it is likely to be placed as something extending the Kindle eReader line. More important, however, is its extension of the Amazon.com website. Call it a bridge between the Kindle and Amazon.com, maybe. There is going to be a huge advantage for Amazon in that they will not only be controlling their own app ecosystem in the form of the Amazon Android App Store, but also offering their entire website in a form that is perfectly compatible with the tablet people are browsing on. After all, the company itself is involved as every stage at this point so they can make sure it all works smoothly. They know what the device, or devices, can do. They know what changes need to be made to make everything show up smoothly. There is even the possibility of a customized front end specifically for tablet user browsers. Even leaving aside considerations of a Kindle Phone or any Kindle Tablet option with 3G access and the advantage that Amazon would gain by connecting their users to the site 24/7, this looks good.